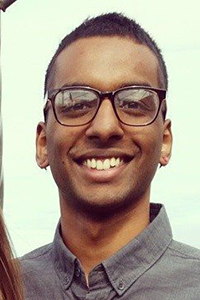 Viswesh Periyasamy grew up in Wisconsin and is an avid long distance runner. Viswesh's work focuses on how to better estimate graph probability priors for learning network structures of genes. His hope is to find an approach to estimate these parameters in order to greatly reduce the complexity of solving the network structure.